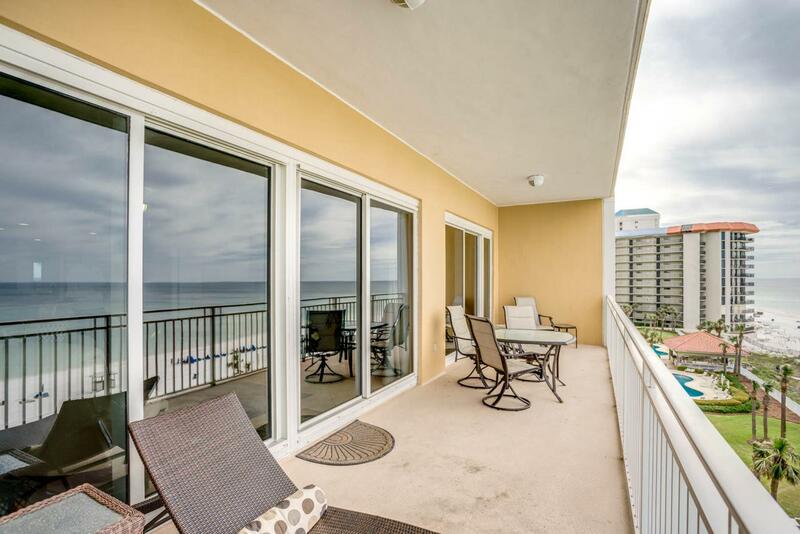 Welcome to Sterling Beach 502 in gorgeous Panama City Beach, Florida! A spectacular opportunity presents itself to purchase a large 3 bedroom, 2 bathroom in one of the area's premier condominium developments. 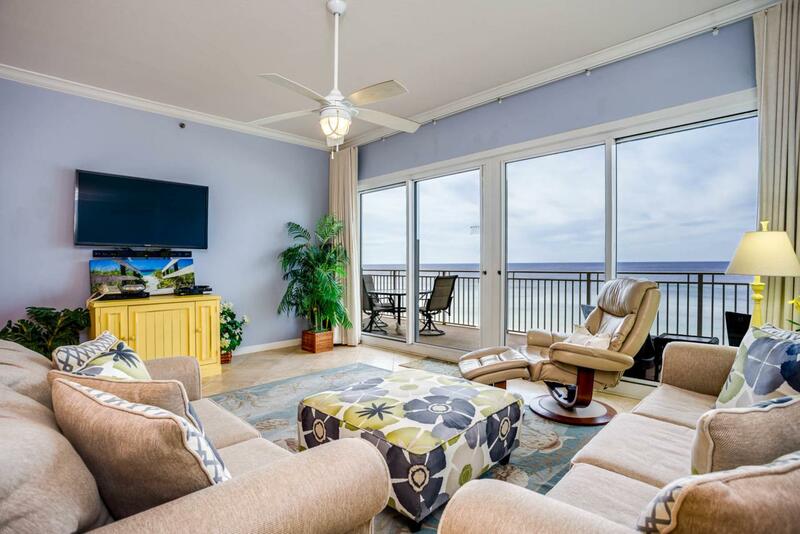 Boasting nearly 1,700sf of living space this gulf front masterpiece has a spacious layout with open living, dining, kitchen and tremendous views from its 5th floor perch. The large balcony features access from both the master bedroom and living area while offering tons of room for outdoor dining and relaxing while taking in all of the serene surroundings. The master bedroom has a large walk-in closet and en-suite bathroom with separate shower & tub complimented with a double vanity. There is also a full size laundry room off the kitchen and multiple storage closets within the condo.One of the guest rooms is currently setup with a twin over full bunk that also has a twin trundle roll-out underneath while the other guest room has a queen bed and is attached to the hall bathroom. Sterling Beach Condominiums is one of the area's premier condo developments. 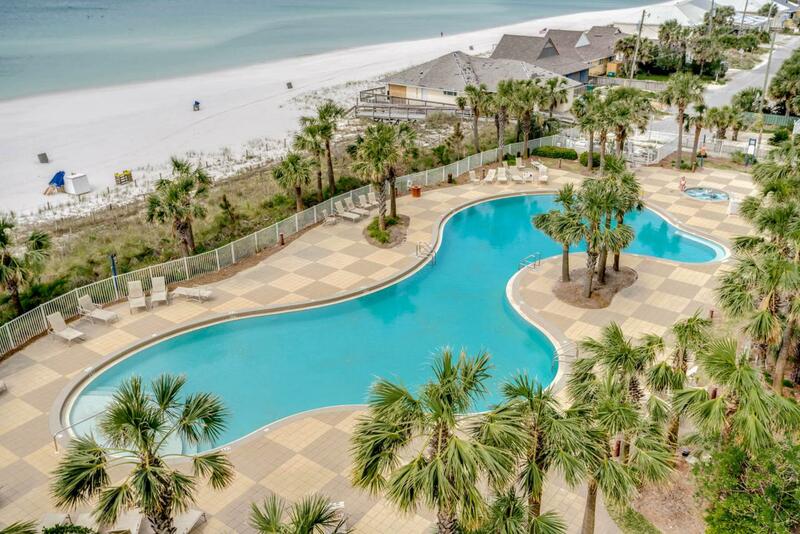 The low density high-rise offers everything you could possibly need with a large beach front pool & hot tub, grilling/picnic area, gulf front fitness center and convenient parking area. 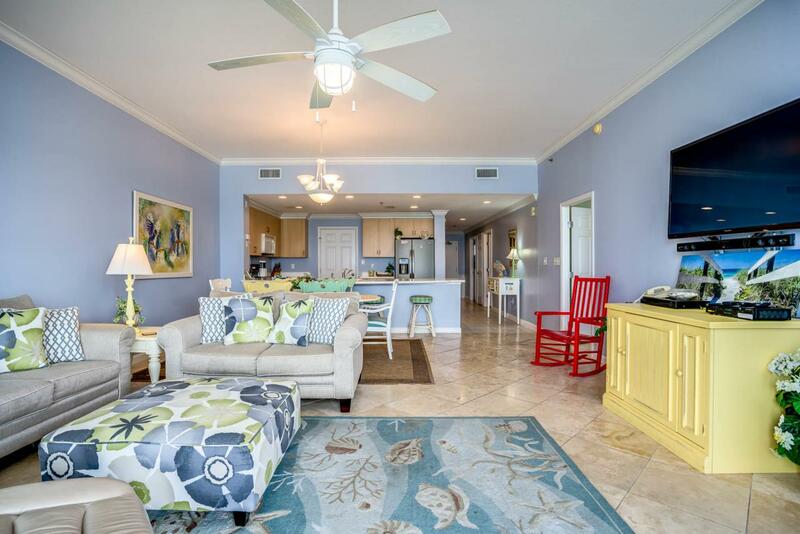 Whether you are looking for a primary, second home or vacation rental investment property, Sterling Beach is a building that must be considered. The location is ideal and out of the hustle & bustle surrounding the busier west end locations. If you enjoy quick and convenient access to boating then bring your boat and be on the water in minutes with this location near Grand Lagoon. Come and experience all the Sterling Beach has to offer!